Armand Aucamp, Jacques Bessenger, Roeline Daneel et al. 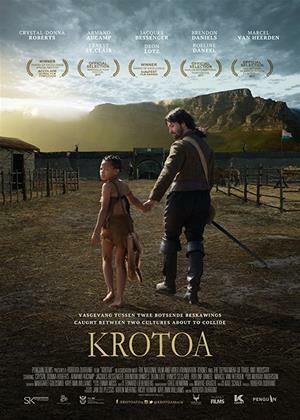 Krotoa (Crystal-Donna Roberts), a feisty, bright, young 11 year old girl is removed from her close-knit Khoi tribe to serve Jan van Riebeeck (Armand Aucamp), her uncle's trading partner. She is brought into the first Fort established by the Dutch East India Company in 1652. There she grows into a visionary young woman who assimilates the Dutch language and culture so well that she rises to become an influential interpreter for van Riebeeck who became the first Governor of the Cape Colony. As such Krotoa ends up being rejected by her own Khoi people and destroyed by the Dutch when she tries to find the middle way between the two cultures.